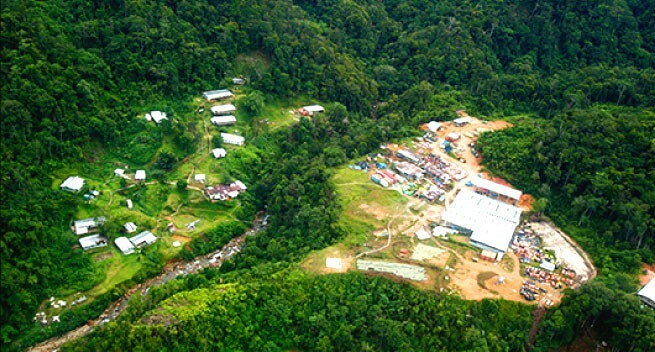 The Wafi-Golpu mine in Papua New Guinea is getting closer to commercial realisation with its announcement this week that an updated feasibility study for its joint venture partners is before the country’s mining authority. Bryan also noted that the Wafi-Golpu Joint Venture together with the 50:50 joint venture partners Harmony Gold and Newcrest Mining – were pleased to keep their commitment to the PNG Government to submit this Feasibility Study Update before the end of this month. “We look forward to continuing to work closely with the Government’s state negotiating team to take forward the permitting and approvals process as efficiently as possible, in accordance with PNG law,” Bailie said. 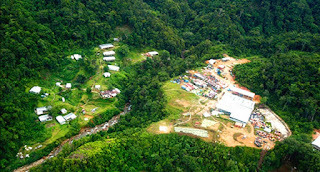 The Wafi-Golpu project site is located in Morobe about 65 km south-west of Lae. If developed, the Wafi-Golpu Project would be the largest, deepest and most complex underground mine in PNG, with a mine life of 28 years. Subject to Board approvals by the joint venture participants, construction would commence after the granting of an SML and receipt of all other required Government approvals, and first ore production would be expected around 5 years from that decision. An initial capital investment is expected of approximately PGK9.1 billion (US$2.8 billion), with total capital expenditure expected to be around PGK17.4 billion (US$5.4 billion) over the life of the mine. This significant injection into the economy, the project will create benefits including around 2,500 direct jobs during construction, about 850 ongoing operations jobs and jobs created. The project will also contribute at local, provincial and national levels through royalty payment.